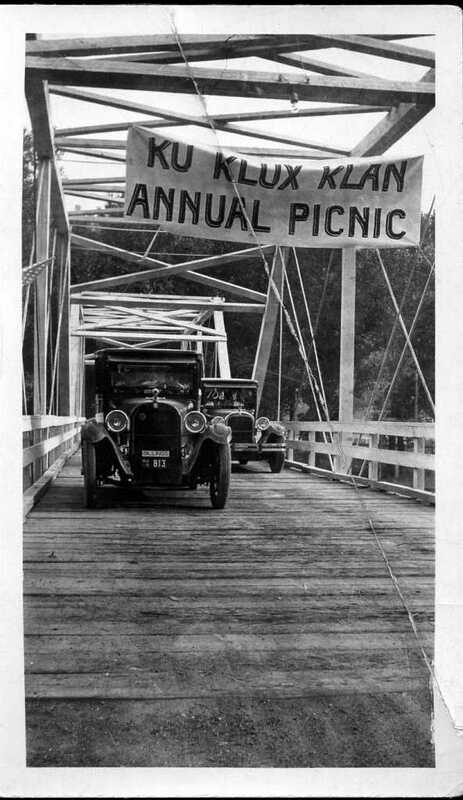 The Ku Klux Klan had a national membership of 3 to 5 million men during its height in the 1920s, and over a million women joined the women’s auxilliary. This photo was likely taken near either Billings or Livingston. The lead car sports a Billings license plate. Photo courtesy Billings’ Western Heritage Center 86.71.01 a, b. In the 1920s, a group of women banded together under the auspices of a shared political belief and religious background. They dedicated themselves to installing memorials in their communities, hosting family picnics, and delivering flowers to local hospitals. In many ways they resembled other civic organizations of their time, many of which served a social function by bringing women of similar interests together. Committed to “tenets of the Christian religion,” “freedom of speech and press,” and “the protection of pure womanhood,” the ideology of this group overlapped with other groups such as the Women’s Christian Temperance Union (WCTU). Yet their commitment to “white supremacy” separated the Women of the Ku Klux Klan (WKKK) from other women’s organizations—and provides a reminder that female participation in politics was not always a progressive force. At its height, in the 1920s, the Montana Realm of the Ku Klux Klan boasted fifty-one hundred members across more than forty chapters. Committed to what they called “100% Americanism,” KKK members espoused xenophobic policies against immigrants and racist policies against nonwhites, and fostered hatred toward Jews and Catholics. 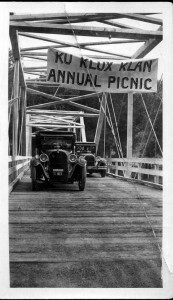 In a Montana suffering from economic downturn, rapid technological advances, drought, labor unrest, and a generally chaotic postwar period, the Klan provided an appealing organization for those looking for scapegoats.